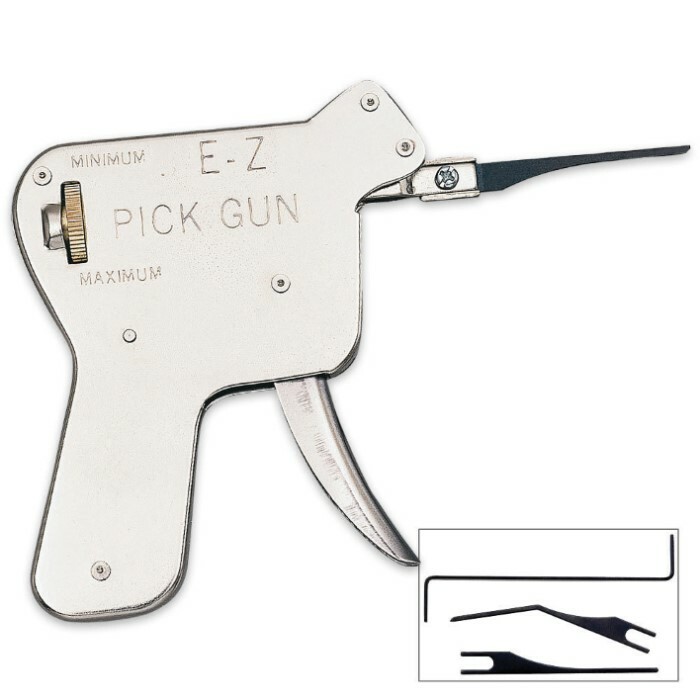 EZ Pick Professional Lock Pick Gun | BUDK.com - Knives & Swords At The Lowest Prices! This tool was specifically designed to be inserted into a lock and, with the rapid pull of the trigger, activate all pins at once. The tool comes with three picks and a tension wrench tool. It fits easily in a glove compartment. 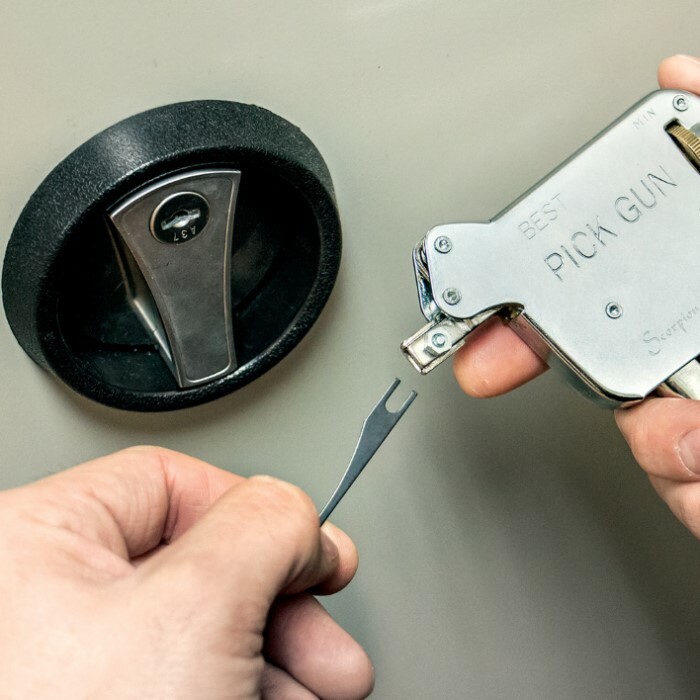 Conventional hand picking requires the tediously manipulating just one or two pins at a time, so save yourself the trouble and get the EZ Pick Lock Pick Gun now! Like any. Simple tool, it only works simply on simpler locks. Got mine, and once you get to water pin locks, one needs advanced knowledge to make this work. An extra tension wrench might help. Special tools for special locks. This ain't that, but it does work. You just need patience. For multiple rentals, go to a big lock company & purchase a master lock system. That allows for individual keys for each rental unit, not operable by each other tenants' keys. But the manager/landlord retains ONE MASTER KEY FOR ALL. Worth the investment. This is a great little tool. Go to You Tube and watch a video of how to use it and you will be amazed. I just got the pick gun in. Tried on my own home, no luck getting door open. I was short one of the washers, but dont feel that has made the difference. Really hope I can figure this out, I have rentals and need to get into one today. I am pleased with the over all quality of this pickgun. I'd buy it again. This auto type picker works really well and has performed solidly for our family. We do maintenance and repairs so it comes in super handy when a home owner has forgotten his or her keys.